This email gives information on the next phase of the Council’s consultation about their ‘Preferred Option’ of the New Southwark Plan (NSP), which is an important document about land use in Southwark. It is used by developers, so it is essential for individual residents and communities across Southwark to get involved in this process, if they are to have any say in shaping their futures. 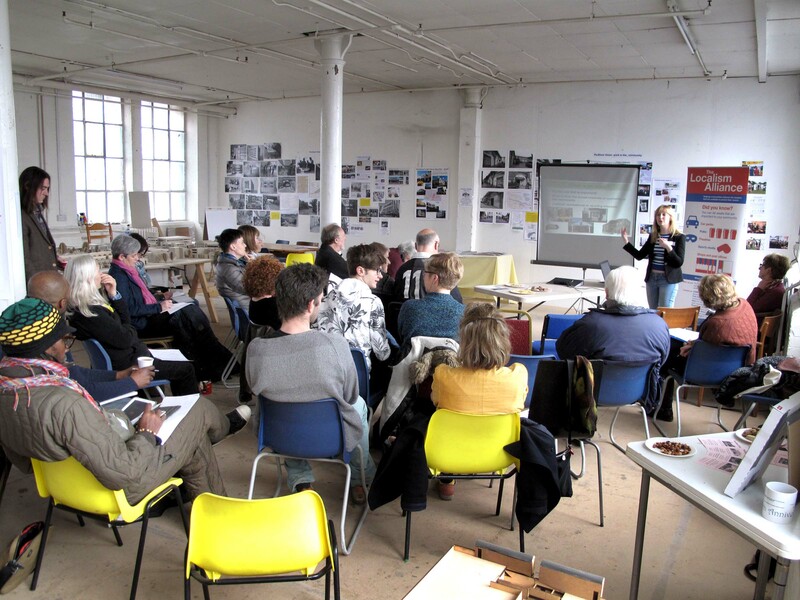 To help people engage with this very dry topic, we are organising a tour of the four major redevelopment sites proposed for Peckham in the New Southwark Plan (NSP), finishing with a round-up discussion in Peckham Vision’s Bussey studio. The round-up will cover what has been learnt on the walk, the issues raised by the proposals and how to make comments in the consultation. We hope the walk and discussion will give interesting insights into the developments happening in Peckham town centre. See further information about the NSP below. If you would like to take part in the walk, please book a free place here: http://goo.gl/tHGLzP . Further information and briefing about the four sites and the tour and the assembly place will be emailed to all those who register to come. Each year, Peckham Vision takes its stall and mobile exhibition about the town centre developments to several community fairs and festivals. Over the years since 2008, we have discussed the town centre developments with hundreds of local people. In 2016 one of the displays was about the Aylesham Centre redevelopment, one of the 4 sites in the draft New Southwark Plan (NSP) now out for consultation. We asked people to put comments on post-it notes. All the comments were typed up and are shown in this document: http://www.peckhamvision.org/wiki/images/4/4e/PV_events_Aylesham_summary_v7_yellow_post-its_v7_-_FINAL.pdf Selections and summaries of the comments are shown to illustrate the themes that emerged under these headings: • Scale & height of buildings • Street scene • Housing • Uses on the site • Facilities on the site • Consultation process. TO PV Mailing list – HAPPY NEW YEAR! Please note the dates in your diary. your support on the night is vital. So please come to this if you can – just 30 minutes is needed. 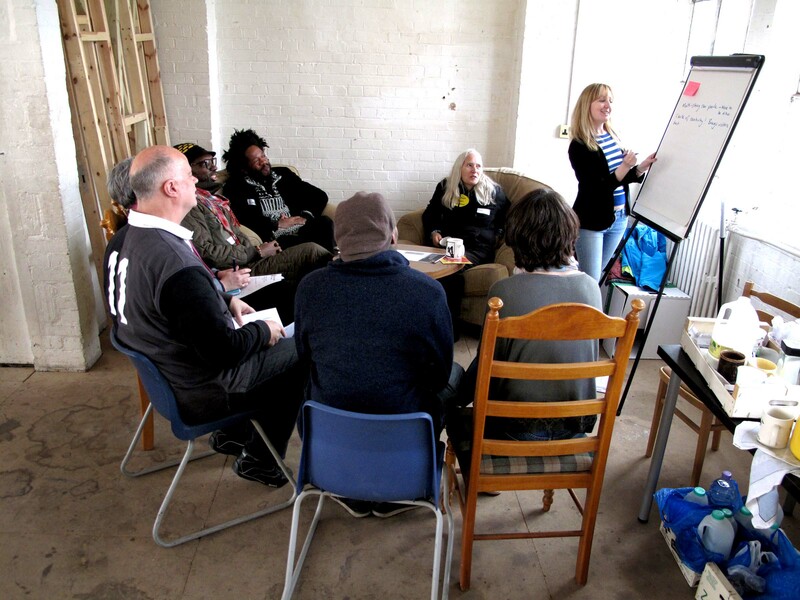 On 14th March working with Civic Voice, we held a workshop in our Bussey studio for 24 supporters. Thanks to Sarah, Kathryn and Jenny from Civic Voice to support us in discussing the Localism Act and the power it gives communities to protect buildings and open spaces they value. This means communities can ask their local council to list certain assets as being of value to the community. If an asset is listed and comes up for sale, the new right will give 6 months to put together a bid to buy it. This gives communities an increased chance to save much loved shops, pubs or other local facilities. It gave local people the right to stop the sale of the Ivy House pub and the time to get the funds together to buy it. The nomination and listing of the Peckham Liberal Club gave the members time to think again about the sale. In both cases the listings resulted in the buildings with all their wonderful facilities being in community ownership. More info on this new community power: http://www.civicvoice.org.uk/campaigns/assets-of-community-value Civic Voice are encouraging all civic community groups to take advantage of this. In our workshop we identified dozens of potential local buildings and spaces to investigate. We are now drawing up a community action plan for this. 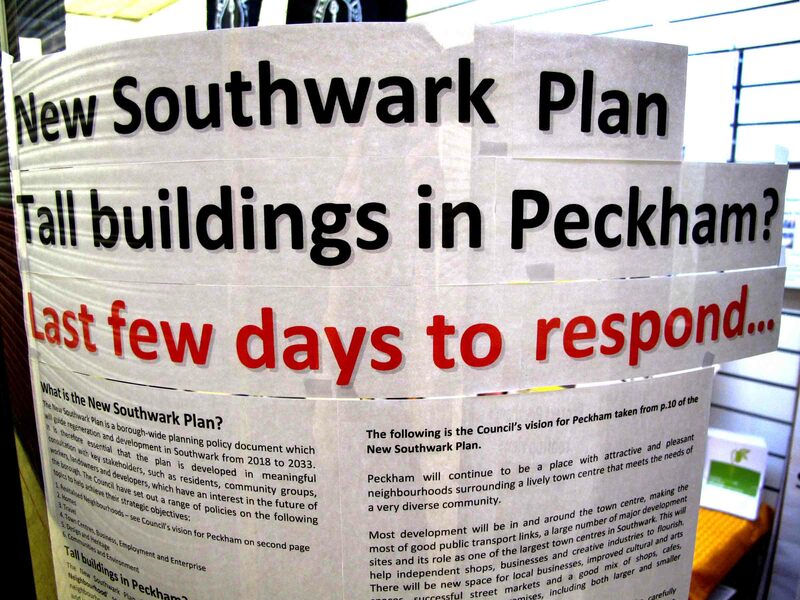 We will circulate the information soon so that others in and around Peckham can start developing their own plans. CINEMA & MULTI STOREY CAR PARK BUILDING: this building is in the NSP as a development site (page 108), and the Council said at the Peckham Planning Public Hearings that it prefers the building to be demolished and the site sold for new commerce and for housing in a tall building. The Planning Inspector said that the Council had to do more work to examine its potential for conversion for different uses, as well as retaining the cinema. Please write in to say you support the need for that work before decisions are taken about its future. See here for more information.